HMS Tyne (P 281) taking on live ammunition in the Hamoaze, Plymouth on the 11th October 2007. HMS Mersey (P 283) sailing from Portsmouth, 22nd January 2008. Royal Navy warships HMS Portland and HMS Mersey will arrive in Liverpool this weekend (4-7 April 2008) for a well earned break and to renew some old friendships. 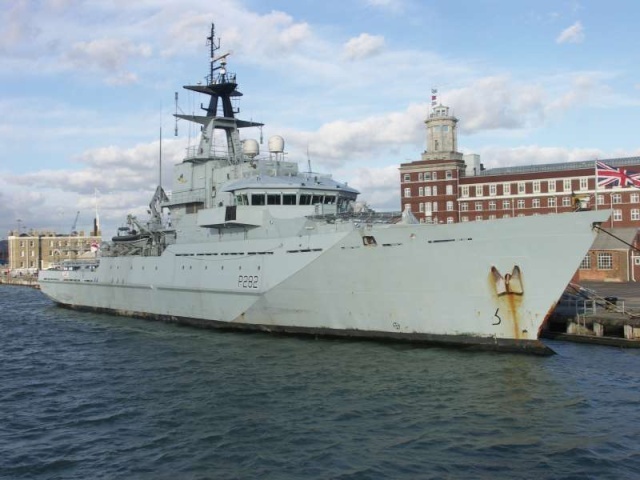 HMS Mersey, a River Class Offshore Patrol Vessel, is affiliated to Sefton and some of the ship’s company will be taking part in some community projects with Sefton Council. Her affiliated Sea Cadet unit, TS Ardent (Bollington and Macclesfield), will also be onboard helping out the crew with some of their public visits and when they open the ship up to visitors. The crew of HMS Portland, a Type 23 frigate, are bracing themselves for a very robust game of football against the Valentine’s Over The Hill Mob and are suspicious that the Liverpudlians might not be as over the hill as they claim, whilst HMS Mersey will come up against the RAF Association veterans. Both ships will be open to visitors on Sunday from 12.30pm to 5.00pm and will be berthed alongside each other at the Cruise Liner Terminal. 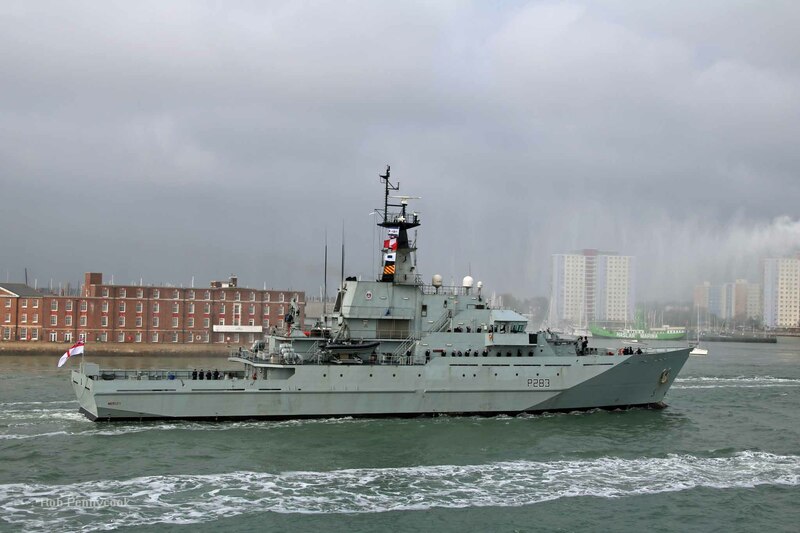 The Commanding Officer of HMS Mersey, Lieutenant Commander Allan Wilson, said: “The importance of ship affiliations should never be underestimated. They are one of the great traditions of the Royal Navy and we are certainly looking forward to our visit to Sefton. Both ships arrive on Friday morning and depart on Monday morning. On the Friday both ships will be visited by pupils from local schools and colleges. 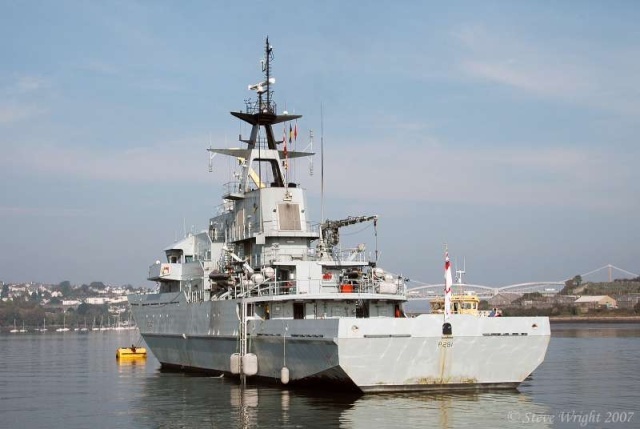 On the Saturday, crew from HMS Mersey will go to North Park, off Stanley Road, to help Sefton Council with pruning and litter picking. The ship will also entertain 20 Sea Cadets from Bebington. 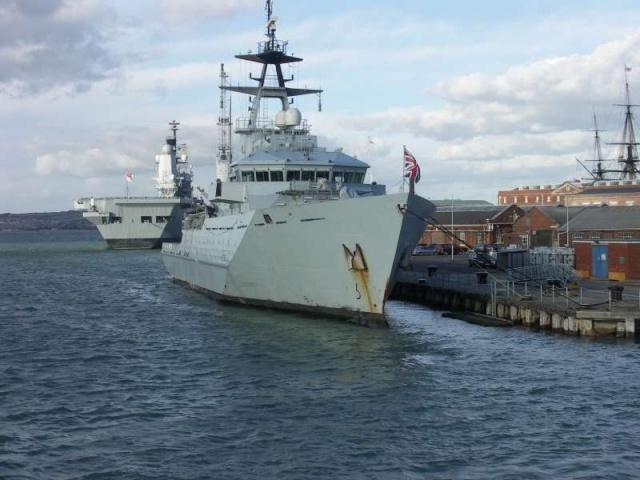 At the same time, HMS Portland will welcome 20 Sea Cadets from the City of Liverpool unit and play the football match at Harrow Drive in Aintree. 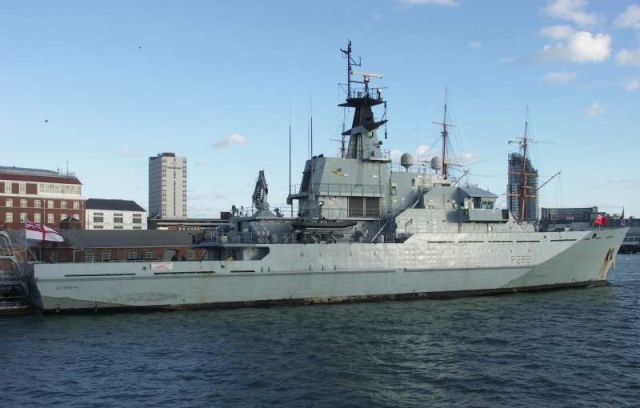 On Sunday, both ships will devote their time to public visits and HMS Portland will welcome onboard visitors from the Mersey Naval and Maritime Society. 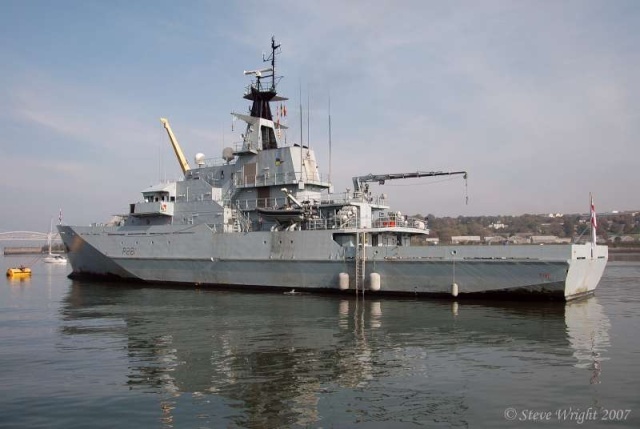 And on Monday, local artist Edgar Hodges will present a painting of HMS Mersey to the ship’s company with the Naval Regional Commander, Commodore John Madgwick, and the River Class patrol vessel designer Peter Brown in attendance. 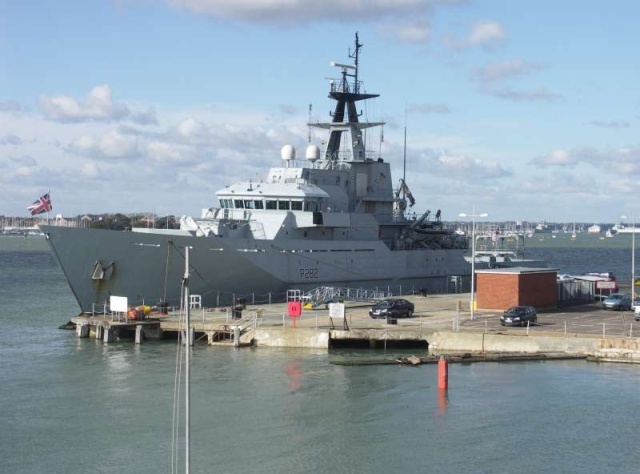 HMS Portland is the eighth ship to bear the name and is the 15th ship in the Duke Class of frigates. 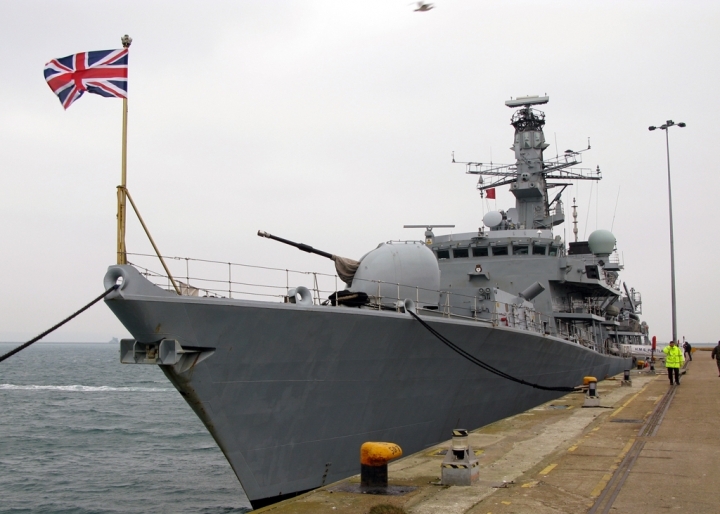 Type 23s provide the backbone of the Royal Navy’s anti-submarine frigate force. 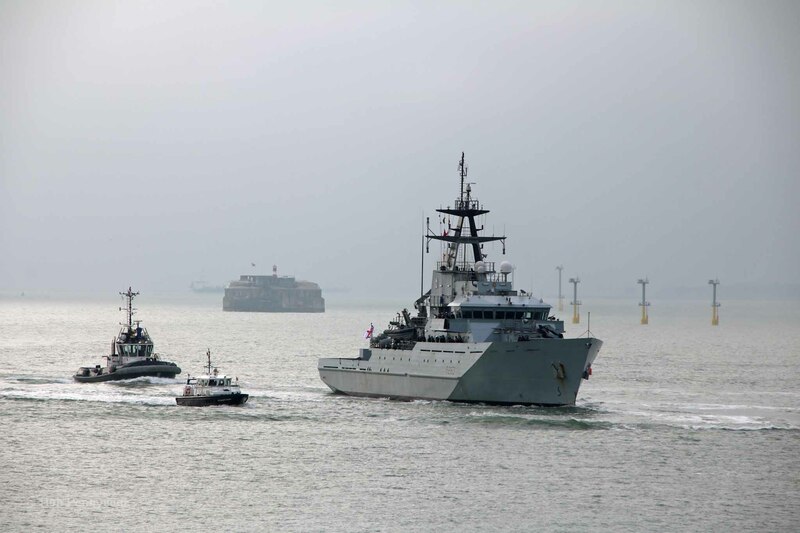 They are, however, capable of other roles and play a formidable part in Royal Navy presence around the world. 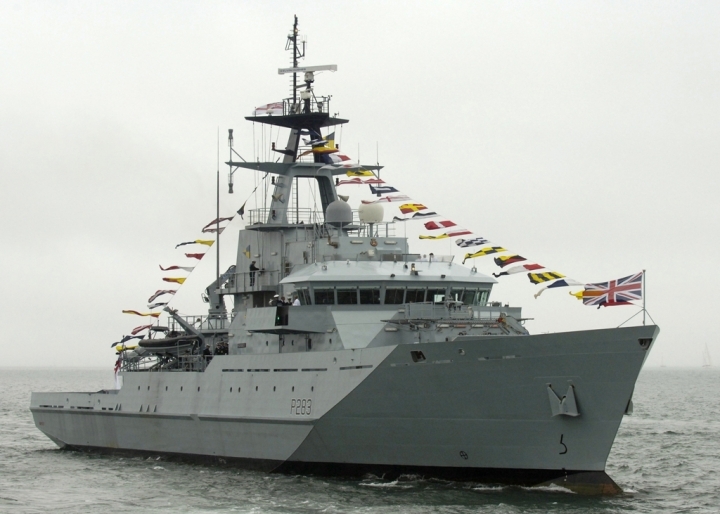 HMS Mersey is the fifth ship to carry the name and is the newest of three River Class Off Shore Patrol Vessels, being commissioned in 2004. She has a ship’s company of around 30, drawn from a pool of 45, in a rotation system which means she is able to stay at sea for long periods of time. Her sleek lines are as eye catching as those of her bigger sister and the pair should make for a fine site as they transit up the Mersey. 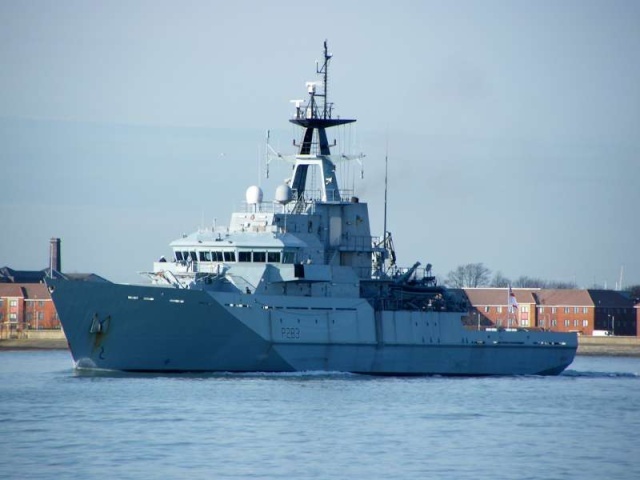 Le ministère britannique de la Défense (MoD) a annoncé, le 12 août, avoir passé commande de trois patrouilleurs de type OPV (Offshore Patrol Vessels) auprès de BAE Systems, pour un montant total de 348 millions de livres (436 millions d’euros). Il s’agit-là de la confirmation d’un projet annoncé en novembre dernier par la Royal Navy. 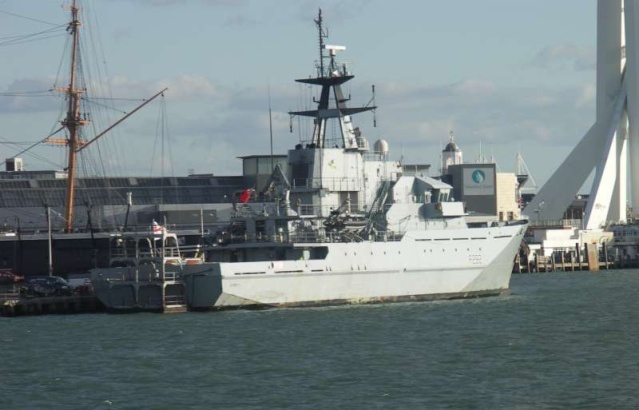 The River-class is a class of offshore patrol vessels built primarily for the Royal Navy of the United Kingdom. 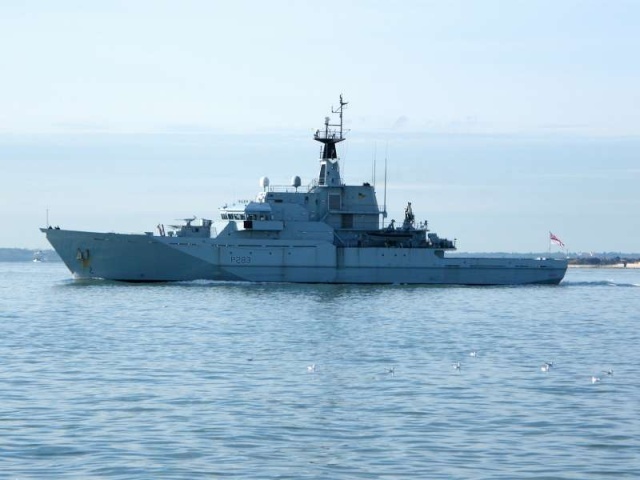 A total of nine are planned for the Royal Navy; four Batch 1 and five Batch 2. The Batch 1 ships of the class replaced the seven ships of the Island class and the two Castle-class patrol vessels. HTMS Krabi is a variation of the River design built in Thailand for the Royal Thai Navy. The three ships of the Amazonas-class corvette in service with the Brazilian Navy are also a variation of the River design.